New Episodes airing every other Thursday! SPL has a new museum addition to our Museum Pass Program: the New York Transit Museum. Housed underground in an authentic 1936 subway station, the NYTM is the largest museum of public transportation in the country. Located in Brooklyn, the museum exhibits blend science, art and design with NYC history to tell the story of mass transportation. We have 2 membership cards to the NYTM, each card will admit 2 adults and 2 children. The museum is closed on Mondays and major holidays. This pass is now available for patrons to reserve in Tixkeeper. Also, Syosset Public Library now has 3 museum passes to the Long Island Children’s Museum. These passes have been generously funded by the Friends of the Syosset Public Library. Patrons are only allowed to reserve one pass to the Long Island Children’s Museum at the time of their visit and may not combine passes. We may hate to admit it, but the majority of us have, at some point, returned library books past the due date. Even librarians have been guilty of being in possession of overdue library materials. Fear not, we are in fact, in good company. Its seems that the founding father of the United States, our very first President, George Washington is the record holder for the most overdue library book. Five months into his presidency, September 1789, Washington borrowed the legal manifesto, Law of Nations: Principles of the Law of Nature; or Applied to the Conduct and Affairs of Nations and Sovereigns by Monsieur De Vattel from the New York Society Library in New York City. For the next 221 years the book lay forgotten amongst other belongings at Washington’s Mount Vernon home in Virginia. Library officials at the New York Society were aware of the lost book but were not holding out much hope. Miraculously, in 2010 the book was found and the staff at Mount Vernon returned the book to the New York Society Library. George Washington’s late fee of $300,000 was waived by the NYSL. Now, that’s a lot of dollars…. This article first appeared in the June 2015 issue of Syosset Public Library’s newsletter, The Book Club Insider. Now there’s an easy way to check on new books, movies and music arriving at the Syosset Public Library every week. Stay on top of the latest fiction, non-fiction, large type, paperbacks, DVDs, CDs, audiobooks and more. Subscribe to our New Book Alerts email newsletter and as soon as a new title hits the shelf, you’ll be one of the first to know about it. Then click on the borrow link right from your email to reserve a copy. 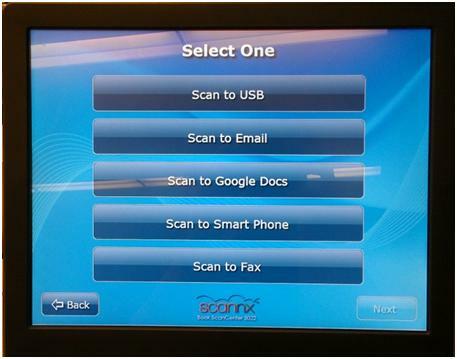 Scanning is now available in the 3rd Floor Computer Center! 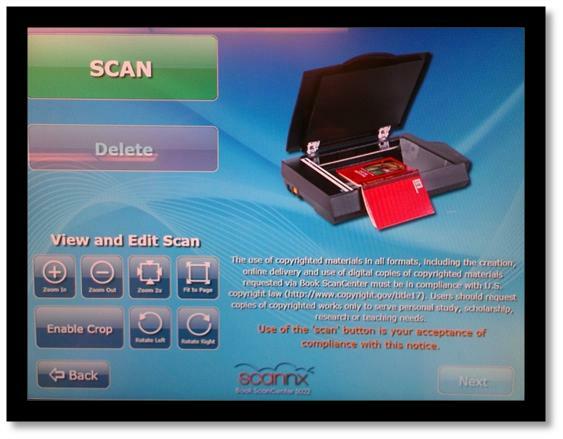 Syosset Library is the first public library in the country to own the state of the art Scannx Book ScanStation. 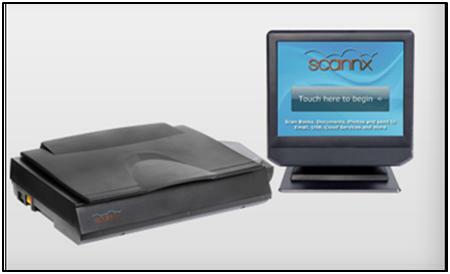 The scanner is available to all and is free to use. What’s so special about this scanner? – Very user-friendly touch screen monitor. by simply touching the screen for the preferred file format. – Advanced ABBYY FineReader technology allows you to scan a book to Microsoft Word with incredible accuracy! Stop by the Computer Center and check it out! Reference Librarians will be available if you need assistance. One day in the early 1990s, retired truck driver, Teri Horton, bought a huge painting at a thrift shop for $5 for a friend as a lark and was stuck with the painting when the friend didn’t have room for it. Little did Ms. Horton know that she was about to embark on a quite an adventure- the painting looked remarkably like the work of famed artist,Jackson Pollock, and could be worth millions. The entertaining documentary “Who the #$&% is Jackson Pollock?” follows Horton’s quest to get the art world to accept her painting as the “real deal”. with Sonia Grgas, Readers’ Services Librarian. The program is free. The film will also be shown at 7 PM, No discussion follows this viewing.